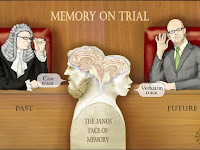 Memory & Justice: Research: two types of recovered memories? Research: two types of recovered memories? Are individuals able to accurately recall long-forgotten episodes of traumatic events like childhood sexual abuse? How accurate are such memories? Over the past 15 years, this issue has given rise to one of the most intense controversies to afflict the fields of psychology and psychiatry. Whereas some have forcefully argued that such reports should be taken at face value, others have countered with equal vehemence that they are likely to be the product of therapist suggestion. Likewise, studies have indicated that individuals reporting these recovered memories are more likely to recall false memories in the laboratory, implying that at least some recovered memories are false. Conversely, recent studies have shown that people with recovered memories tend to underestimate their prior remembering, indicating that some cases of recovered memories may be authentic. The aim of the current proposal is to integrate these seemingly conflicting views. Methods of cognitive psychology and neuroscience will be employed to investigate whether different recovered-memory experiences can reflect both false and authentic memories. This project is the first that will make a distinction between abuse memories recovered during therapy versus spontaneously recovered memories of abuse.